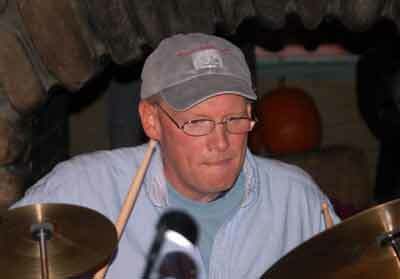 Representing the "almost" of "Fairfield County's Almost All Physician Band" is drummer Kevin J. Fox, who could have been a doctor if it weren't for that science thing. 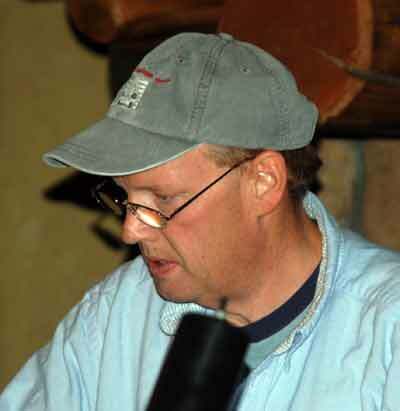 His musical interests began with piano lessons in grammar school, and in junior high school drum lessons were added. His first public performance as a percussionist was marching with the Junior High School Band on Memorial Day playing the triangle. He has performed with all types of groups, from jazz and rock combos to concert orchestras. Kevin is thrilled to be a member of DNR. "I would rather be with the members of this band, than with the finest people on earth".